I recently installed Windows 8 Pro on my computer and everything was working fine until I had to write something on to a DVD and to my surprise found there was no DVD drive in the Windows Explorer or the Device Manager. I knew the drive was working fine, because I had installed Windows 8 from a bootable DVD. A quick google search proved that I wasn’t alone in facing this issue. And a simple fix was available too. 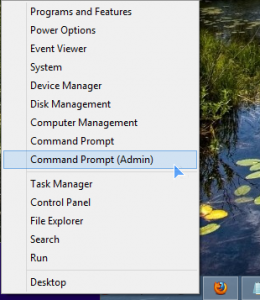 Right click on the Start Tile and select “Command Prompt (Admin)”. Make sure you type it as given above, including the quotation marks. Press Enter and reboot the computer. If this helped you, please let us know by dropping a comment below. I think the command might not have been accepted by the registry. It shouldn’t give you the “options for REG/? for usage”. 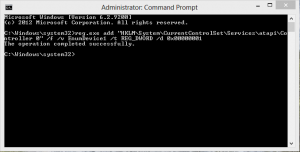 First make sure you are running the command prompt with administrator rights. And this time, try copying the following command and paste it, to avoid any typos. 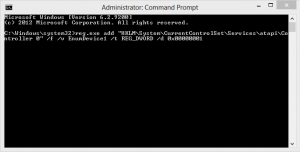 (Right click in the command prompt window and select paste). Then reboot. If it still doesn’t work, open Device Manager and check if the DVD drive is displayed there, or if you get any exclamation marks. If you get one, try uninstalling the driver and reboot. My Windows 8.1 now sees the dvd drive. Thanks!